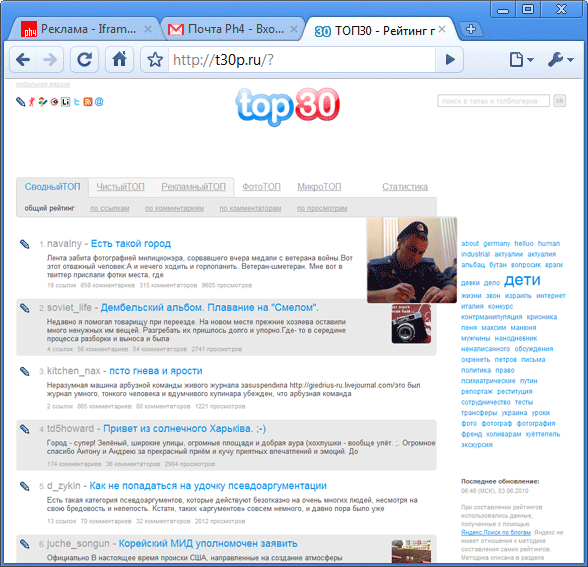 30 most popular entries of the main bloghostings runet. The site is executed decently. Everything is simple, accurate and intuitive. Yandex-search data on blogs is used. Yandex has nothing to do with ranking the ratings themselves. You can see a saved copy of the blog. The best news blog about movies: news, reviews, interviews and trailers.